This comprehensive early childhood program, under the direction of Wendy Bain, services our youngest student population. Children ages 3 months to 6 years of age can enjoy their very first music, dance and theater classes. 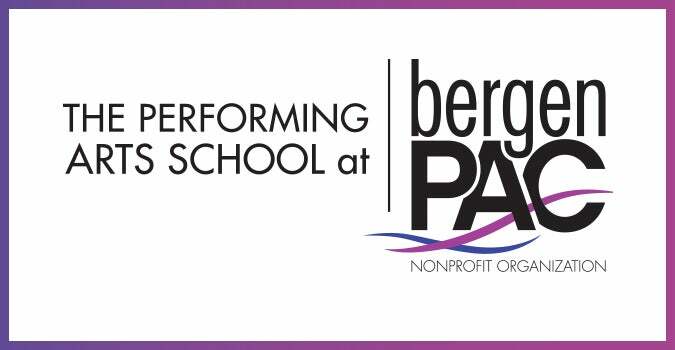 These classes will be the beginning of their journey at The Performing Arts School, and lay the foundation to create lifelong learners of the arts. Registrations accepted throughout the year on a rolling basis. 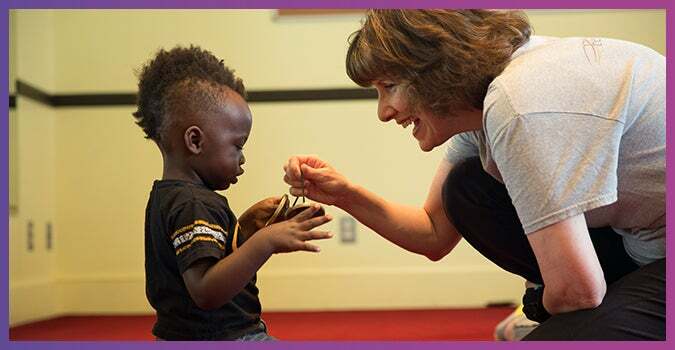 This early childhood interactive music program uses a mix of traditional and contemporary songs from around the world, and developmentally appropriate instruments to help bring out the innate musical nature of young children. Children are introduced to musical activities, various languages, development of fine and gross motor skills, small and large movements that are all intertwined through play. 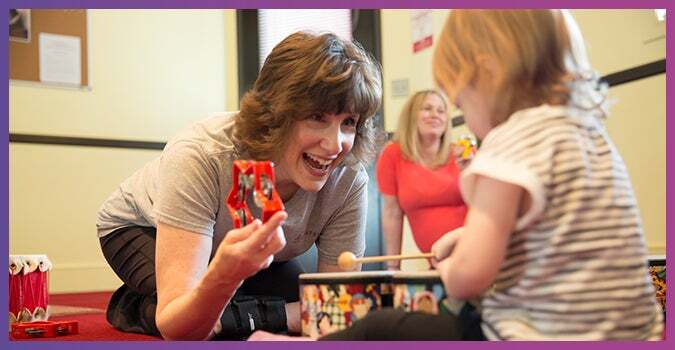 It’s a nurturing environment where children and their caregivers can discover the wonder and joy of music! This class introduces children into the wrold of drama. Children will get the chance to explore storytelling with the use of their imagination. 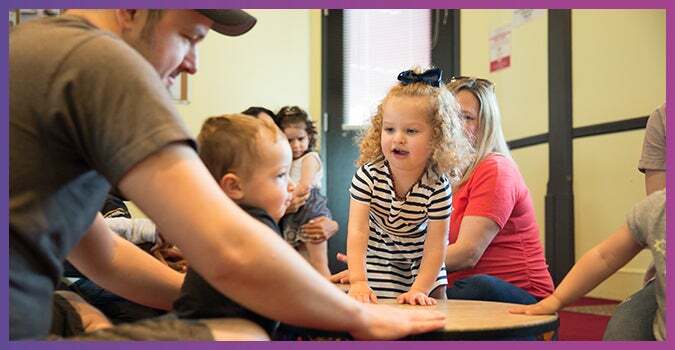 The classes run for 45 minutes, and are designed to introduce musically driven activities such as chants, finger plays, and small and large movements using a variety of age appropriate musical instruments. 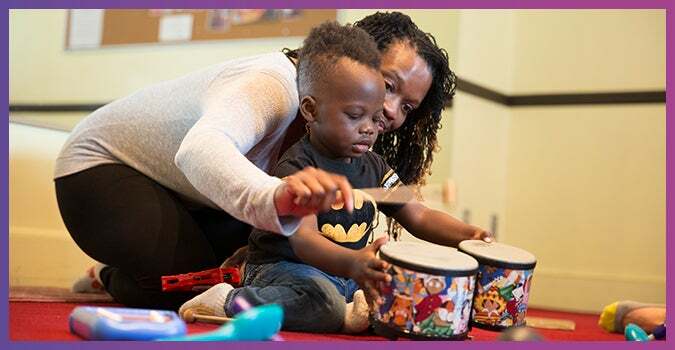 Our classes allow children and their parents/caregivers to explore, learn and discover the wonders and benefits of music. Children get to listen to and play their favorite instruments for the very first time! Sing-alongs with guitar, a drum circle, following beats and patterns, working on listening skills, exploring social interaction in a group, and using the freedom of self-expression. Students in the Young Voices will build confidence through performing in an ensemble. The singers will learn the basics of proper posture, breathing and vocal techniques. These young singers will engage in their experience through vocal imitation and basic musicianship. Their repertoire will include songs in unison and 2 part harmony. Our creative drama activities are introduced through play filled, movement, music and interactive story telling for children. Creative story telling is an important component of child development. Experiencing theater classes helps support young children's social, emotional, cognitive, and creative play skills. This includes development and practice of crucial language skills. Theater classes stimulate children to use words, solve problems, and express themselves. It is one of the ways children learn about life, about others and themselves. This class introduces children into the world of drama. Children will get the chance to explore storytelling with the use of their imagination. 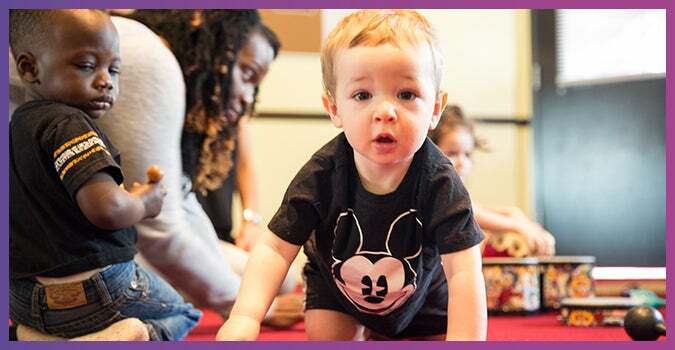 In our early childhood dance program, children ages 18 months to 5 years old, are welcome. With some class offerings including the guidance of their caregiver, and some class offerings drop off (caregiver not required to be in classroom), children will develop coordination, strength, flexibility, and focus. Children move naturally. They move to express a thought or feeling, and they move because its joyful. When their movement becomes consciously structured and it is performed with awareness, it becomes dance. Dance offers young children an avenue to expand movement possibilities and skills. Parents and children work together to explore new ways to move and dance at a very early age. This class is designed as an age appropriate introduction to the exciting world of dance. Students learn the basic elements of movement through storytelling, imagery, rhythmical patterns, improvisation and direction in using space. This class is designed as an age appropriate introduction to the exciting world of dance. Students learn the basic elements of movement through storytelling, imagery, rhythmical patterns, improvisation and direction in using space. *Our current families are given the courtesy to hold a place in the next session with a $50.00 non-refundable deposit. PLEASE NOTE: NO SHOES ARE ALLOWED TO BE WORN INSIDE THE STUDIO. By registering, you are authorizing your child to participate in all class activities. You assume all risks normal to these activities and absolve bergenPAC of all present and future liability in the event of accident or injury. *Siblings 9 months and under are FREE with a registered sibling in Mommy and Me Music only. Class placement will be confirmed upon payment. Spots will only be held when full payment is received. Classes may be canceled due to insufficient enrollment. All best efforts will be made to fill your second choice. Click here for tuition and payment information. You are welcome to make-up any missed classes based on availability. All make-ups must be completed by the end of each current session. Please call Arlene Grunfeld, Operations Manager, to schedule any make-ups at 201-816-8160 ext 35. Tuition is fully refundable before the first day of class. There are no refunds once classes begin. Refunds are not given due to changes in nap schedules or work schedules. *Should there be a prolonged absence due to illness or unusual circumstances, adjustments and/or partial credit can be put toward future classes. Please do not bring snacks or toys into the class. They are very distracting to other children.